GWC’s first annual Get Fit Family Fitness Festival. Tons of families, friends, athletes, fitness gurus, and local health-centered businesses. Races and activities for all ages were provided. The Greater West Covina Business Association was excited to host its First Annual Fitness Festival and 5k/1k Run/Walk San Gabriel Valley! The Event took place on Saturday, January 13, 2018 at Plaza West Covina. This event provided a fitness challenge, fitness demos, and a Health Expo for the whole family. Thank you to all of the volunteers for creating a wonderful experience for all of our runners! And a special thank you to Athens Services and West Covina Kiwanis volunteers. To our GWC Advisory Team who did an amazing job with the execution of this event- we couldn’t have done it with out your hard work and support! To the many businesses who participated we appreciate your participation and interaction with the community. 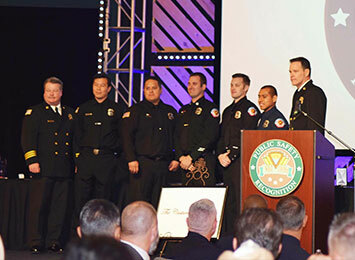 We celebrate and showcase the city of West Covina at our annual State of the City Address. Our First responders keep us safe. They deserve our applause and recognition.